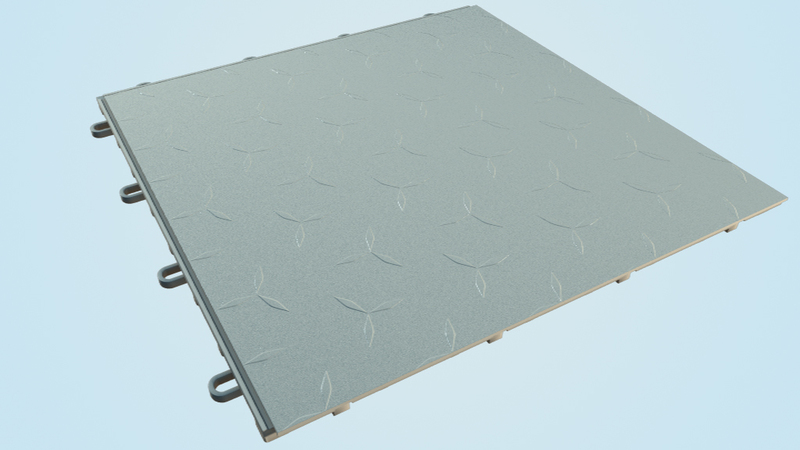 Dynotile is not just any garage floor covering, but a long lasting interlocking tile product designed to meet all your garage and concrete floor covering needs. 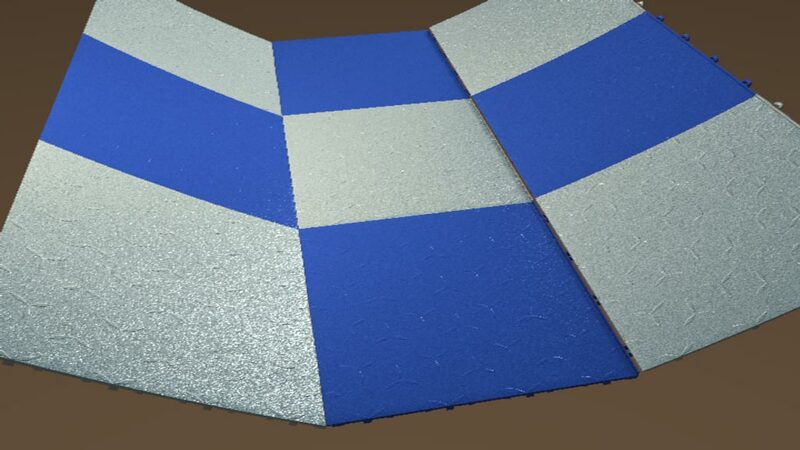 The foot square rigid tiles provide a highly versatile system which creates a sealed floating floor without the inconvenience of messy adhesives, strong chemical smells or the drying time of epoxy coatings and paints. Constructed and fashioned with the customer in mind, it represents the ultimate marriage of intelligent engineering and aesthetically pleasing design. The result: an extremely durable, simple to fit tile with a sophisticated showroom appearance that acts as a layer of insulation, keeping your feet and stored items away from the harsh properties of the concrete below. Dynotile is, in essence, the perfect combination of form and function and can give a fresh, clean look to any room, quickly and easily. Dynotile has been superbly engineered and in the standard form is the only tile on the market featuring patent pending Overlock ™ technology. This means you not only get tiles that fit together extremely tight, but they actually overlap to create a near impenetrable seam. Any spills on the floor covering tends to stay on top of the tiles rather than seep down between the seams where connection points are typically weak. Clean ups are therefore quick and easy so you can keep your garage smelling fresh and clean.